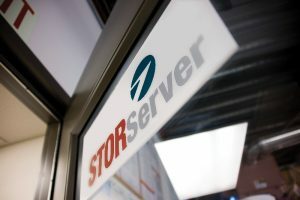 STORServer, Inc., headquartered in Colorado Springs, Colorado, offers the only enterprise data backup appliance that is built-to-order. Launched in 2000 by a team of Storage Solutions Specialists Inc. (SSSI) employees, STORServer offers two lineups of backup appliances in a wide range of scalable models. Each backup appliance solution is tailored to the customer’s unique environment to help simplify complexity and feature best-in-class data backup, archive and disaster recovery software and services that can expand reliably. Enterprises of all sizes trust in STORServer’s proven appliances and world-class services and support, offering the best money-back guarantees in the industry. Sold exclusively through a nationwide network of industry-leading reseller partners, STORServer Backup Appliances are proven solutions developed, built and tested by industry experts. The company’s staff and resellers specialize in automated and simplified technology appliances around everything in the data protection arena. STORServer Backup Appliance solutions provide our customers with a complete solution and U.S.-based, single-point-of-contact technical support that is second to none. Each STORServer appliance includes industry-leading hardware, reliable and proven data protection, and is scalable to meet ever-changing backup, archive, and disaster recovery (DR) requirements. STORServer helps organizations across multiple industries solve their complex data and information recovery issues once and for all, while reducing install and management time to just minutes a day. The company’s solutions help customers significantly improve their capital and operation expenditures on data protection and recovery.